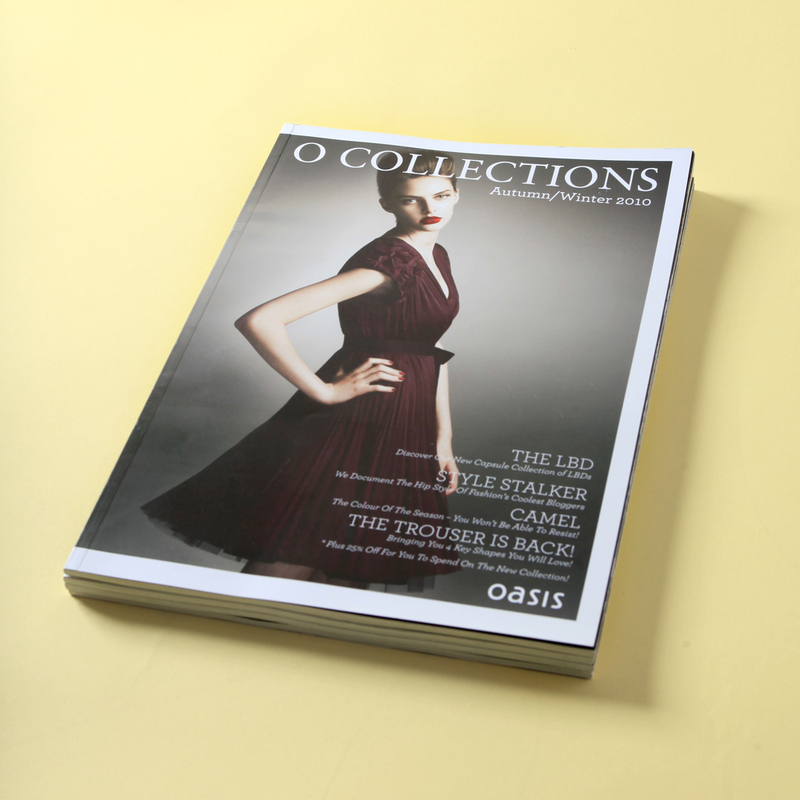 O Collections in the in-store consumer magazine for Oasis fashion. In conjunction with Mill. 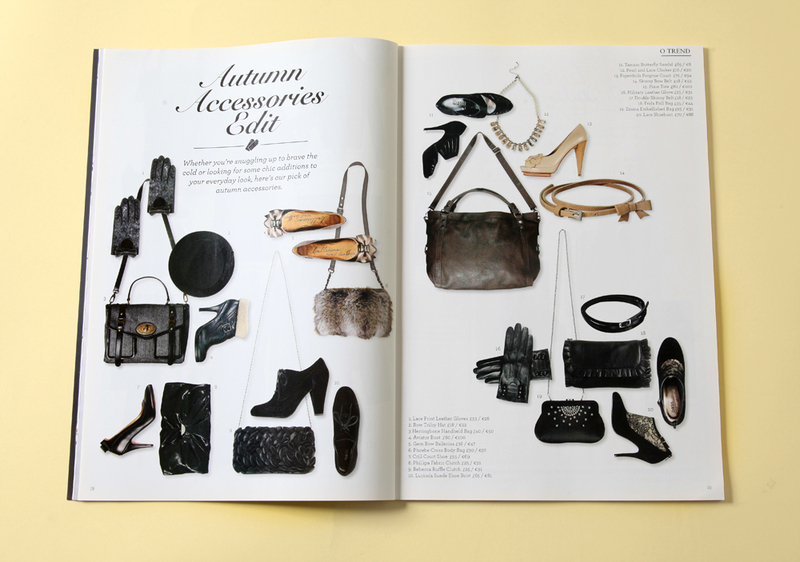 Co, We Are Laura art directed and designed the AW10 issue, re-branding and re-designing the magazine with an objective to producing a high quality product and brand showcase that the consumer would keep on their coffee table for the season ahead. Our role encompassed the Art Direction and Graphic Design of the full magazine, including involvement in generating content for the magazine. Producing a new identity and logo for the magazine. 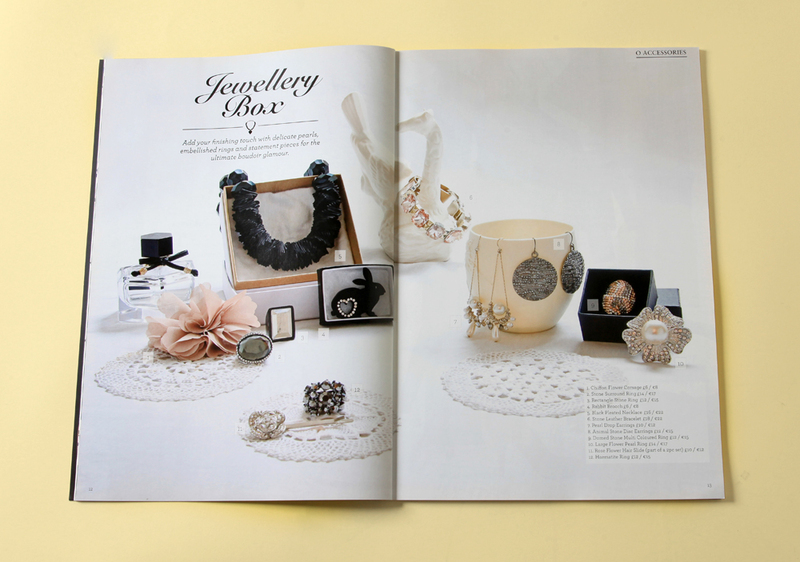 The direction and re-touching of product shots, along with the art direction, photography and re-touching of products.